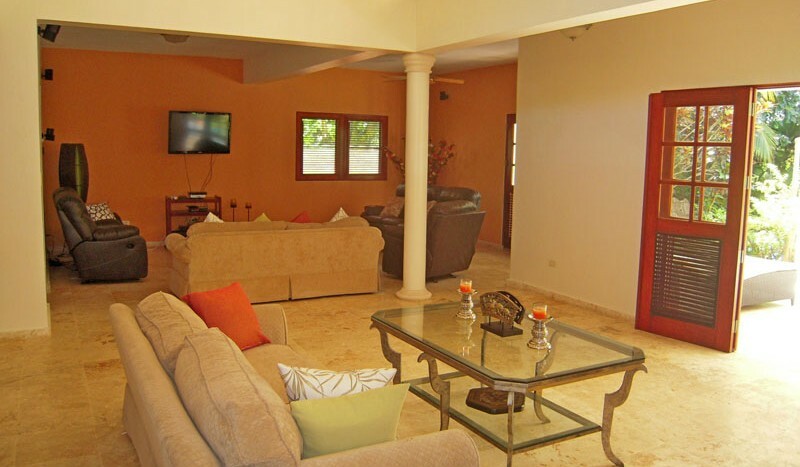 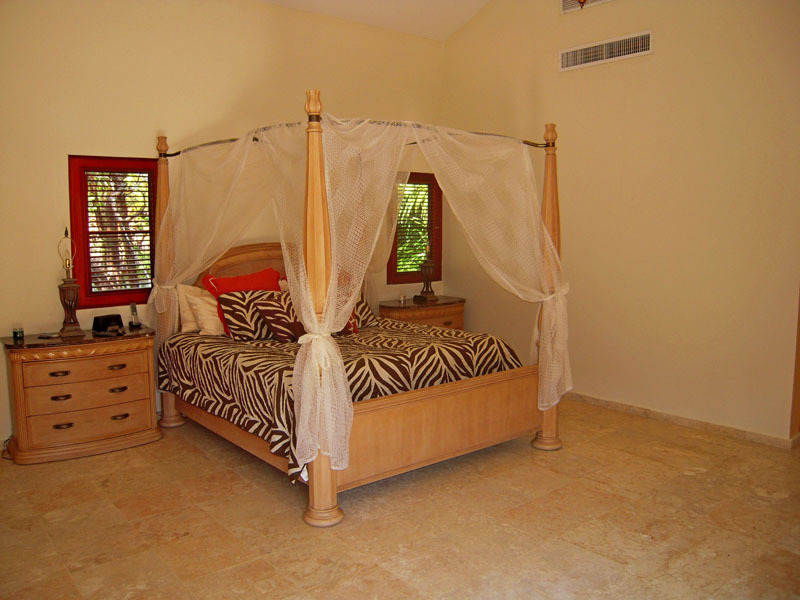 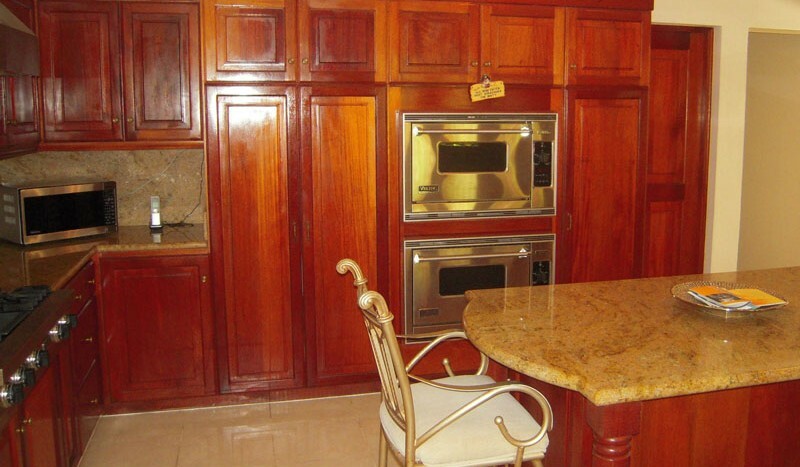 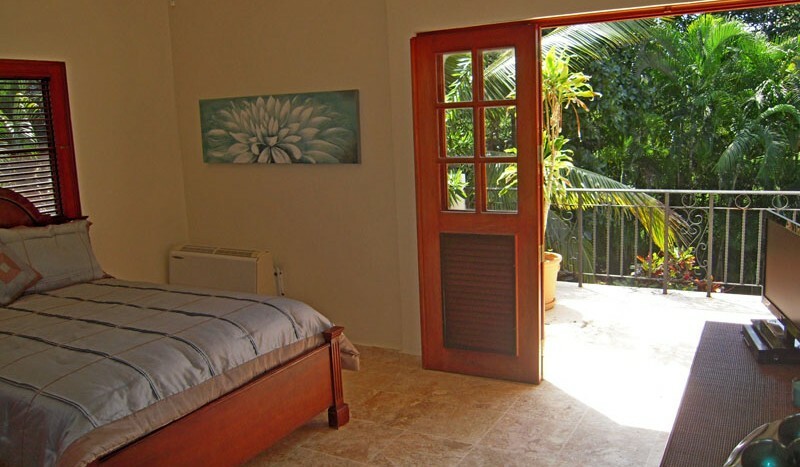 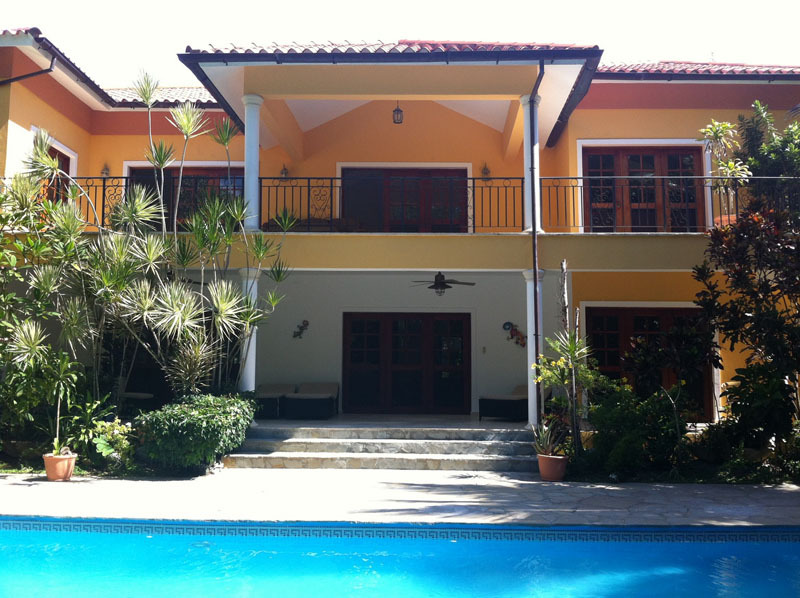 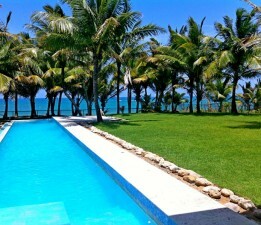 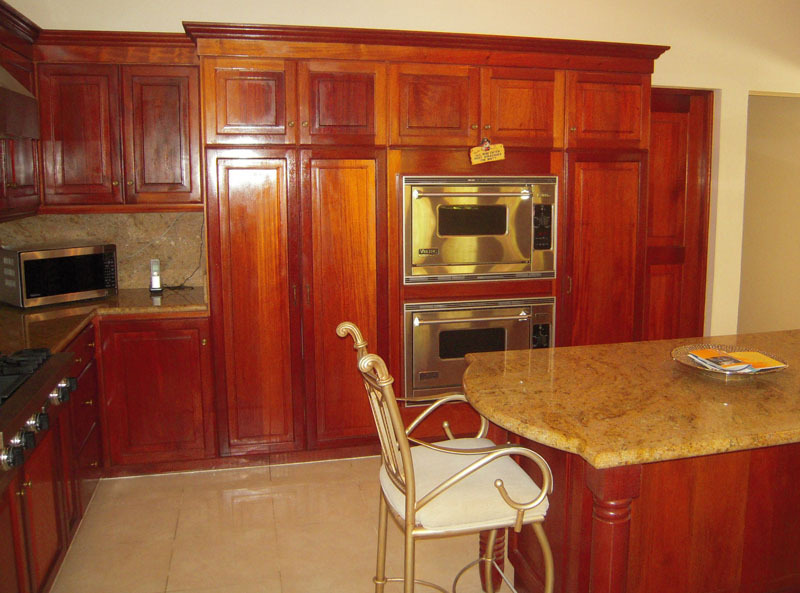 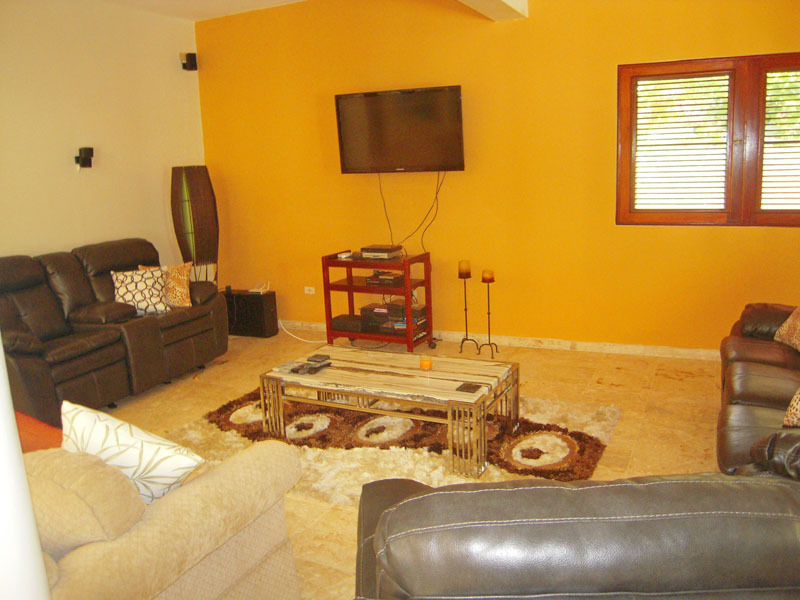 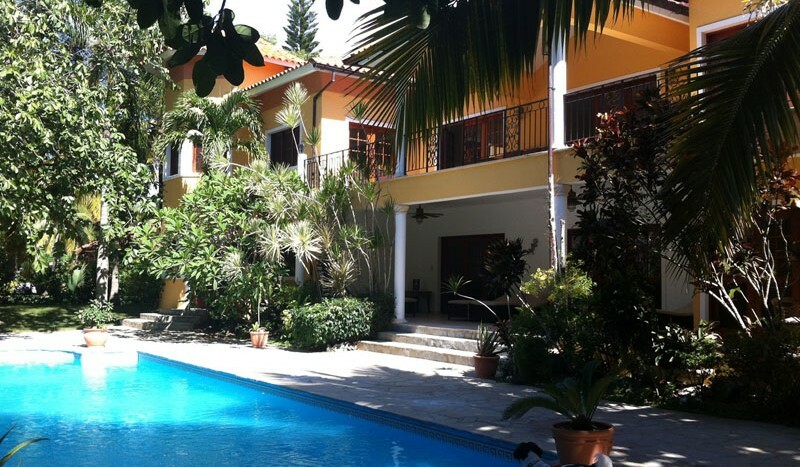 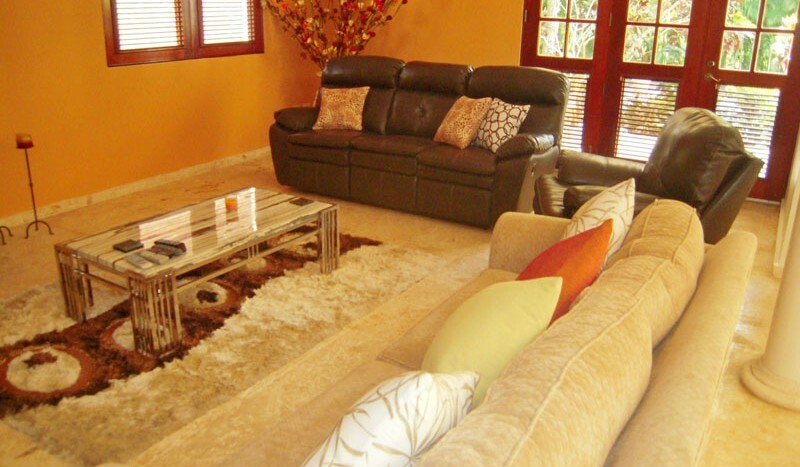 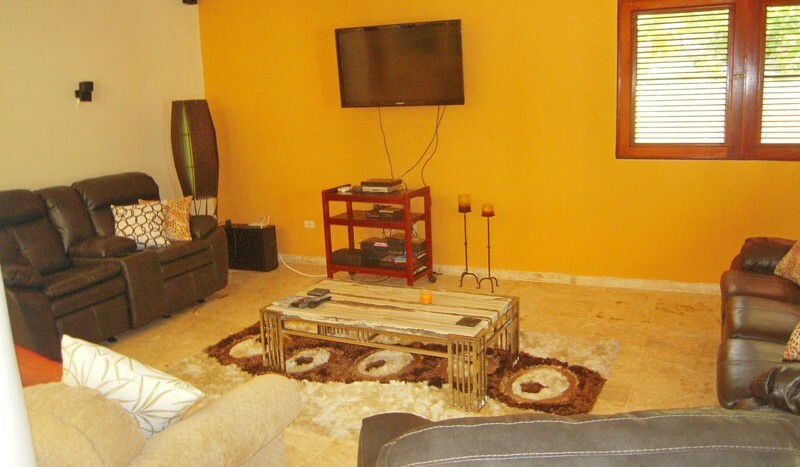 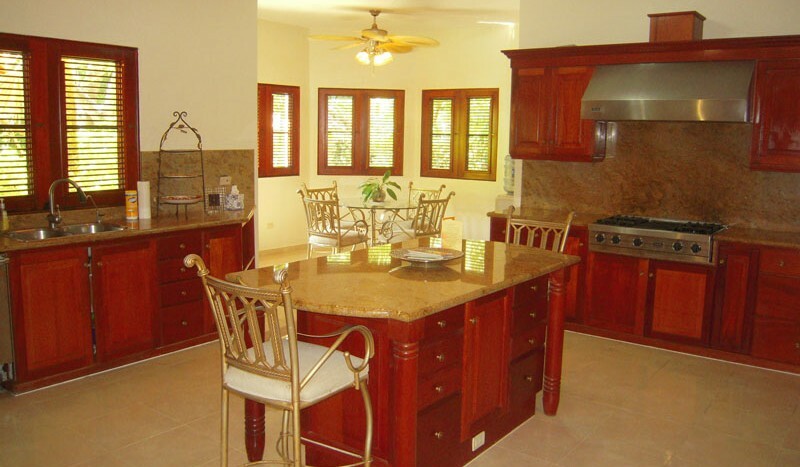 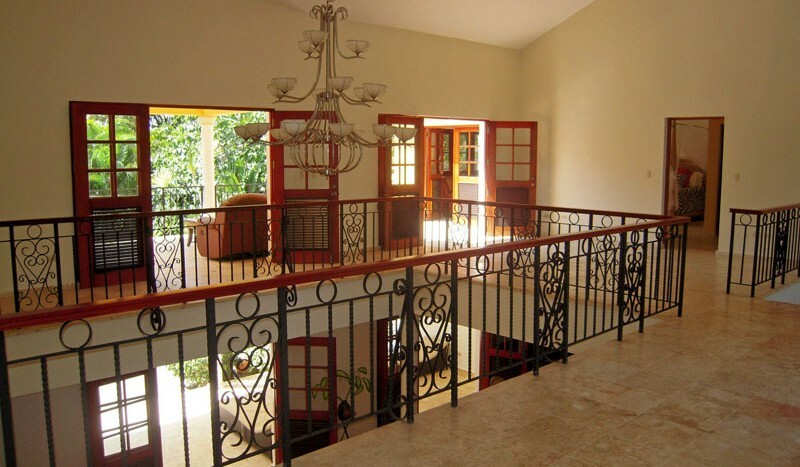 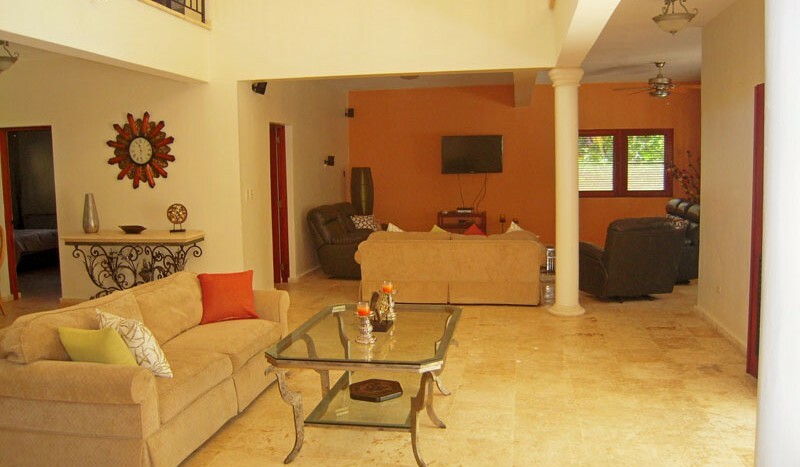 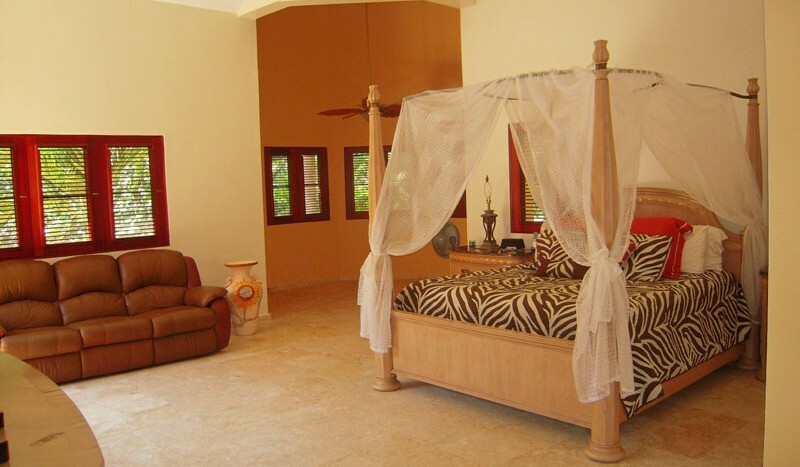 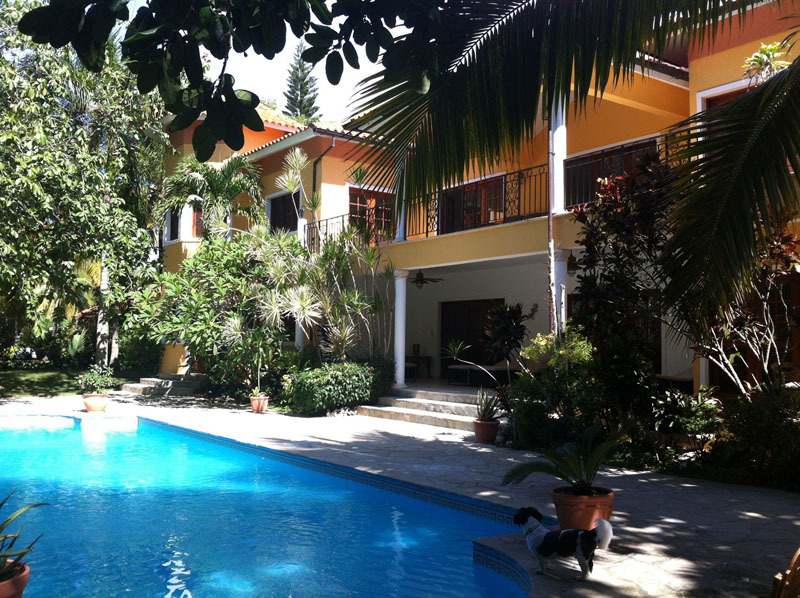 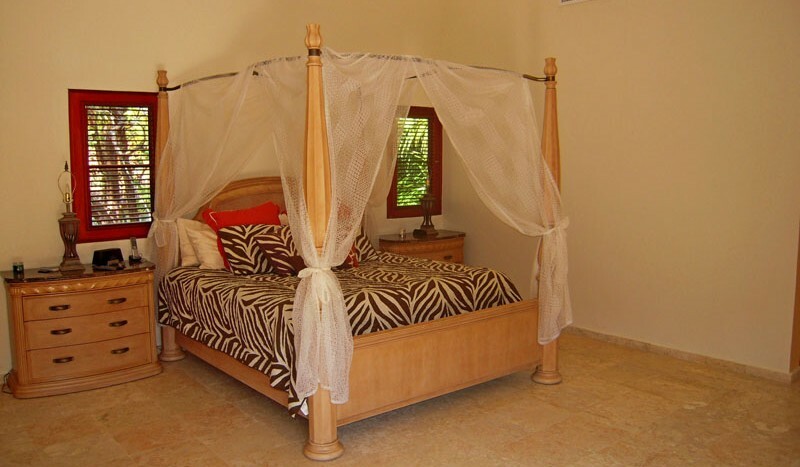 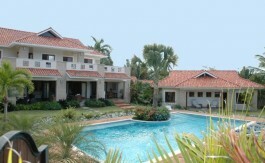 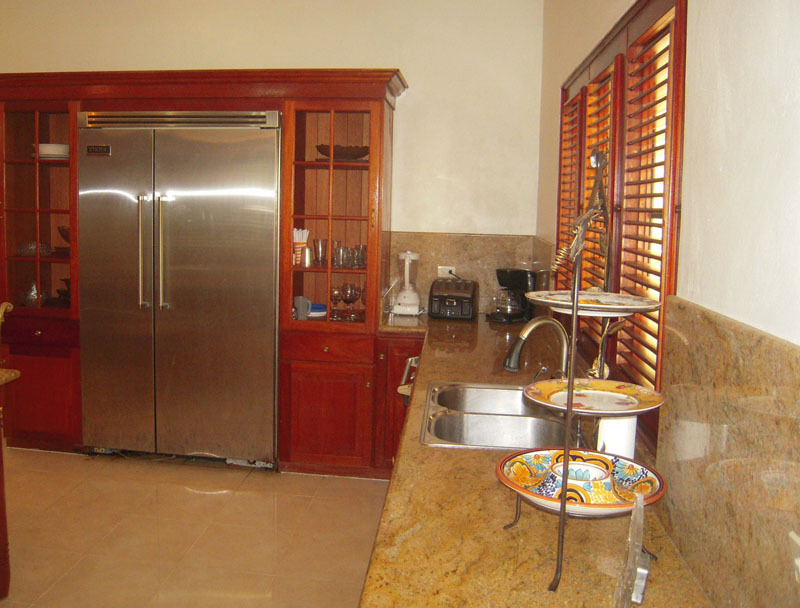 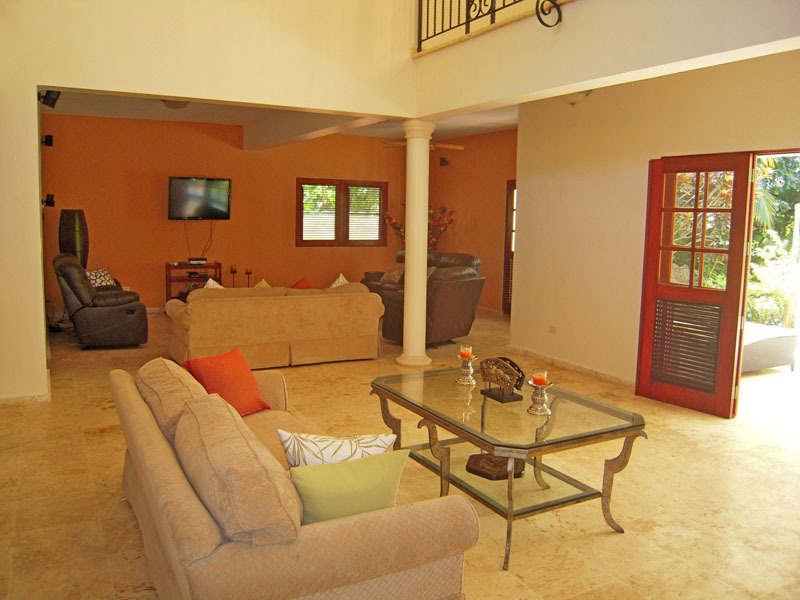 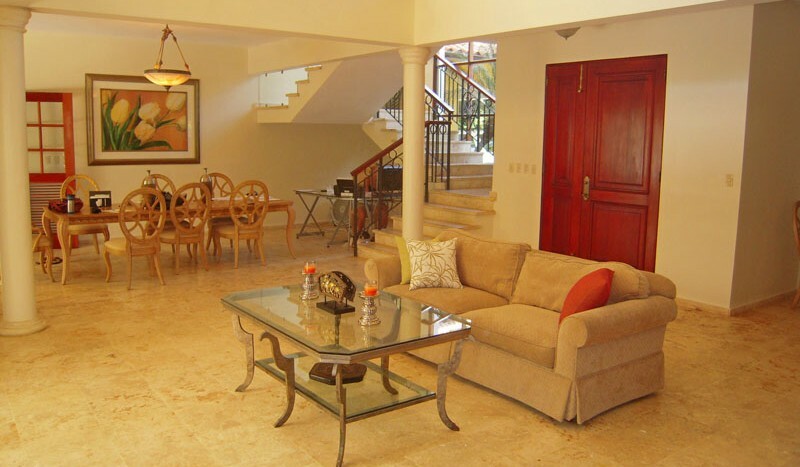 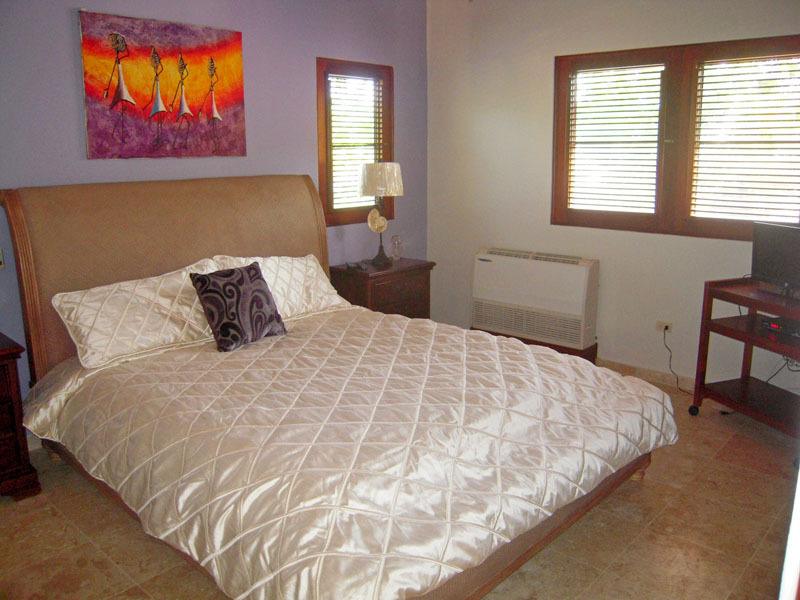 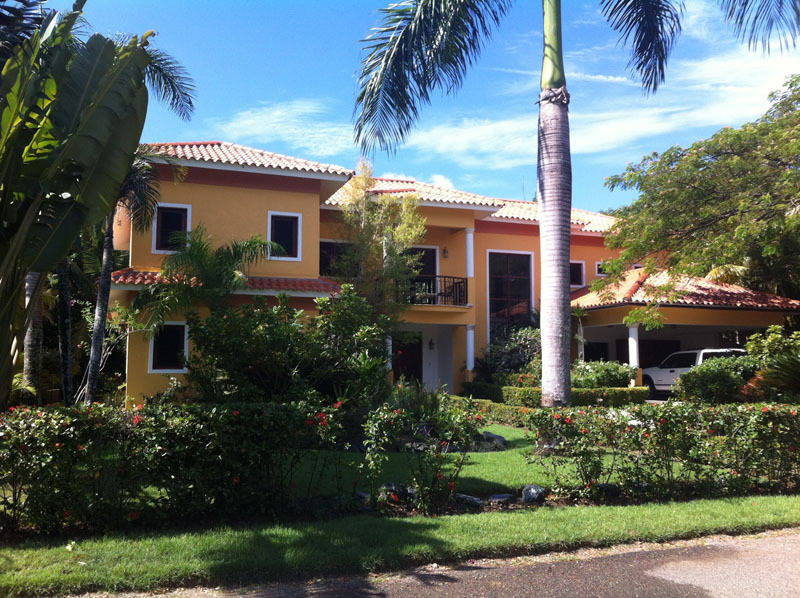 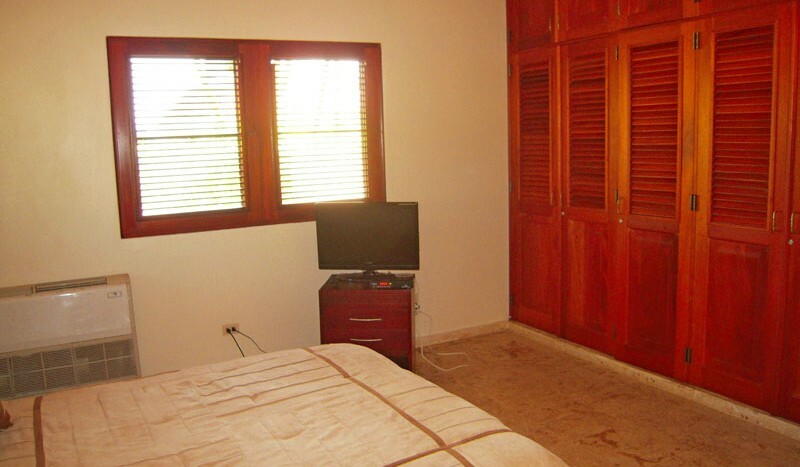 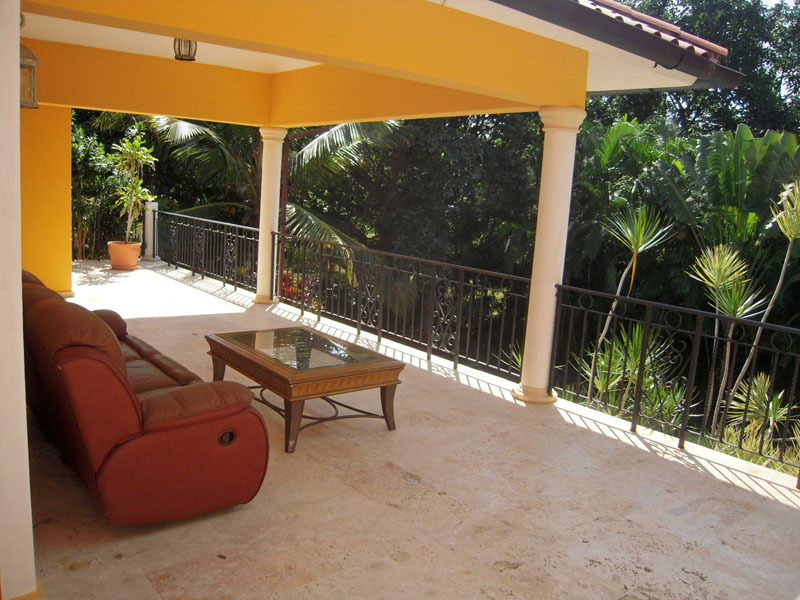 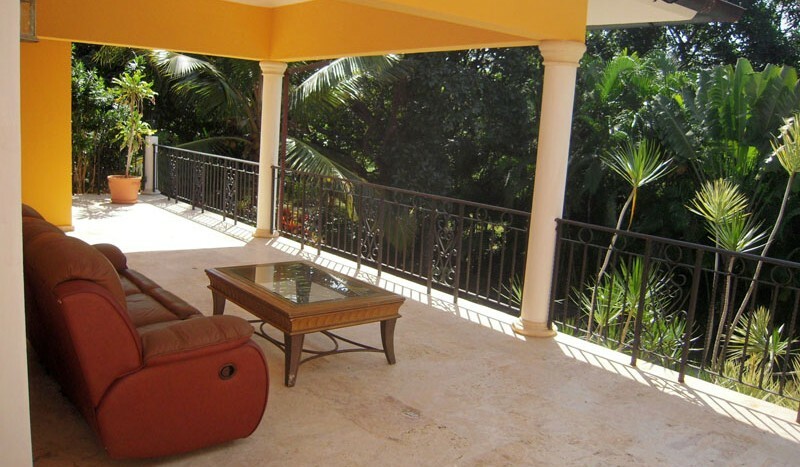 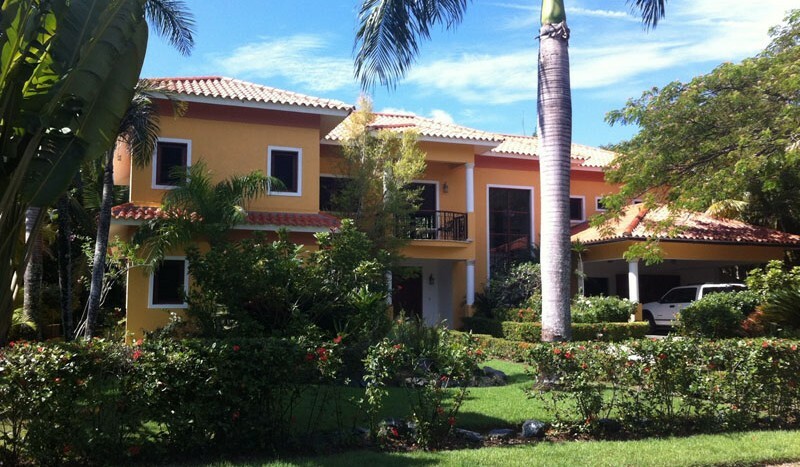 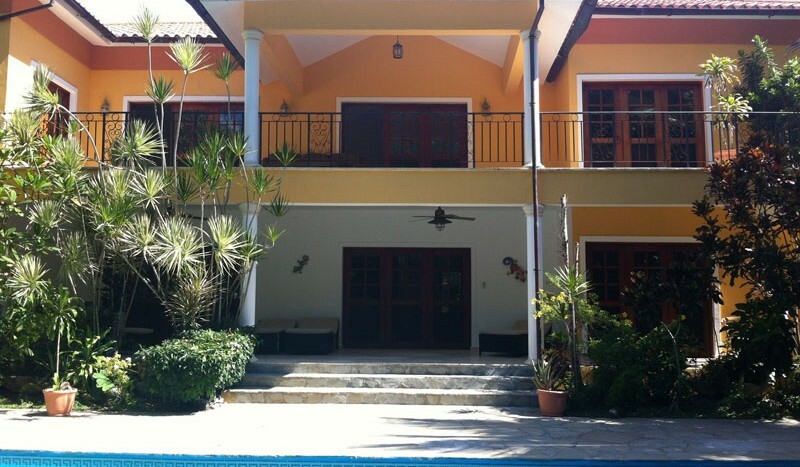 Located in the most prestigious gated community in the Sosua/ Cabarete area, this villa property would provide an idyllic location for that very special vacation event. 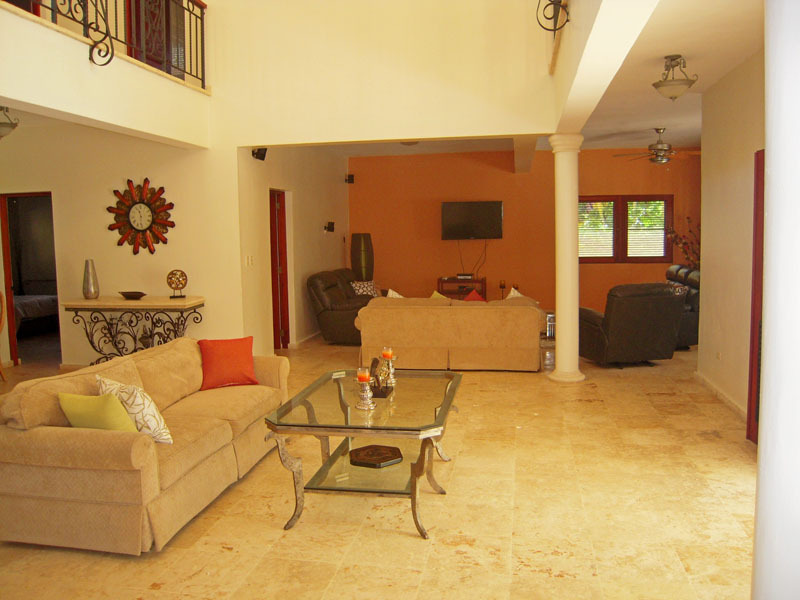 The extremely spacious interior offers a very large open great room on the ground level that includes the entryway, living/ entertainment area with a large flat-screen TV and dining area. 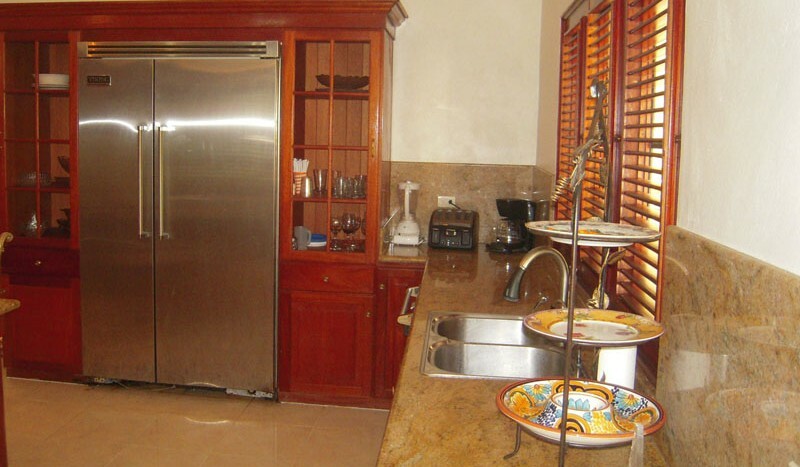 Off of the dining area is a large kitchen any chef would envy, completely outfitted with Viking® appliances. 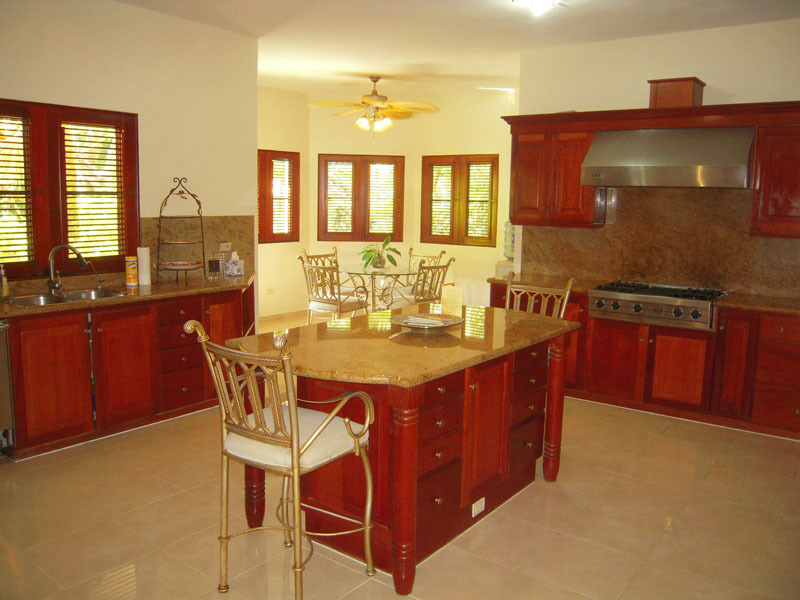 Mahogany doors open to the rear covered terrace and pool deck that surrounds a beautiful and large private pool and garden. 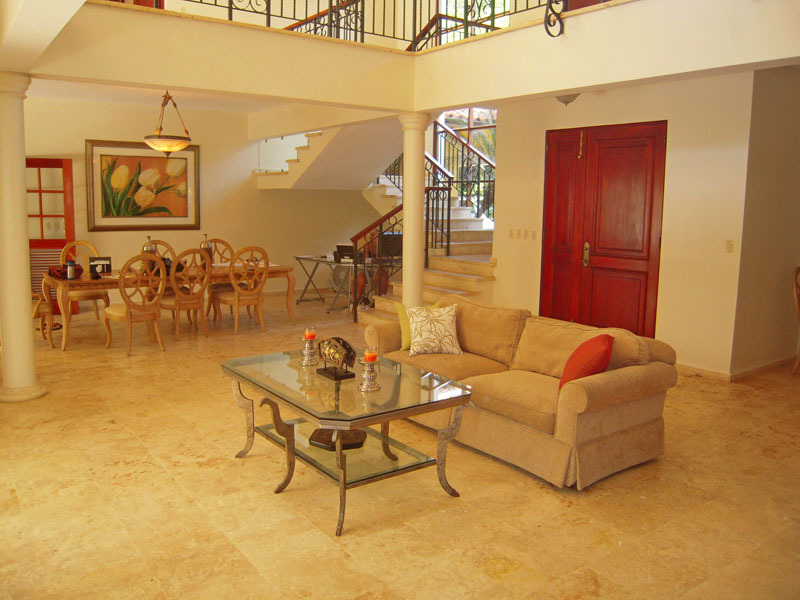 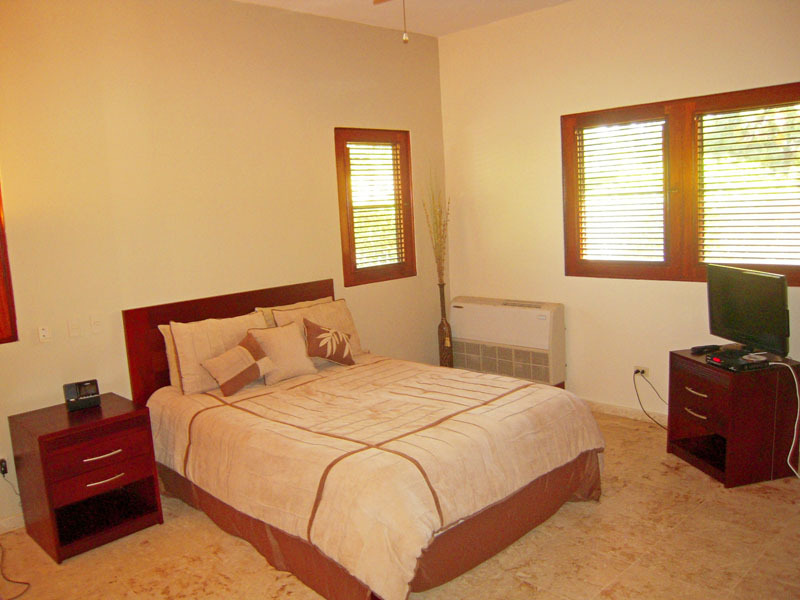 A first-floor bedroom and full bath are also located off of this great room. 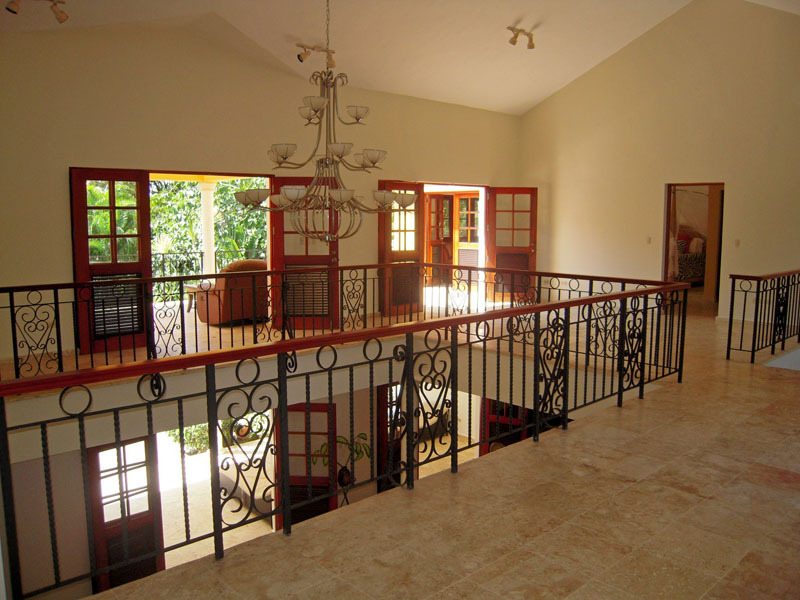 The unique stairway leads to an open balcony hallway off of which lie the master bedroom, two additional bedrooms and the entrance to the second floor rear balcony which overlooks to pool and garden area. 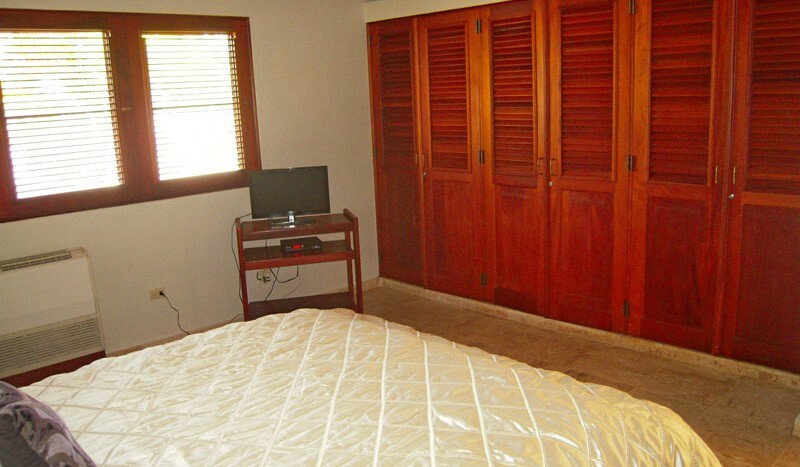 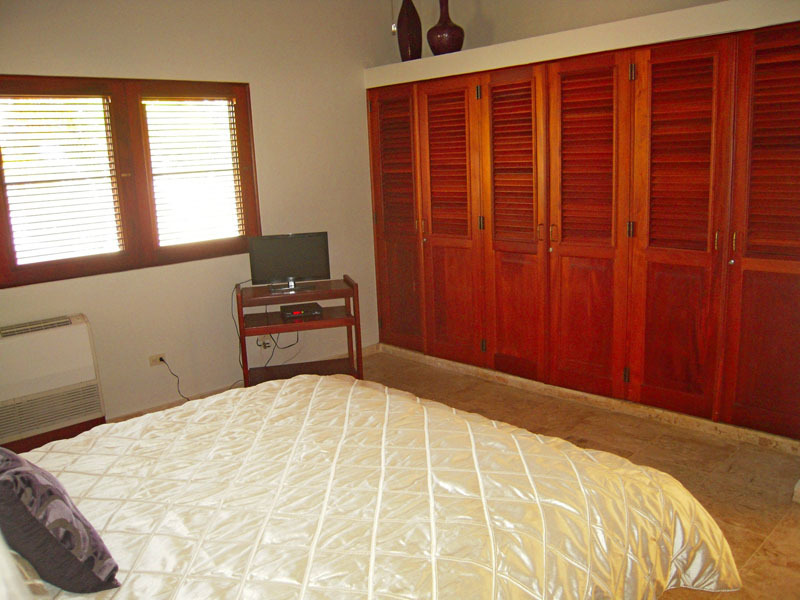 There is a full-size washer/ dryer and off of the laundry area a maid’s quarters with its own bath that can provide a fifth bedroom for guest accommodations. 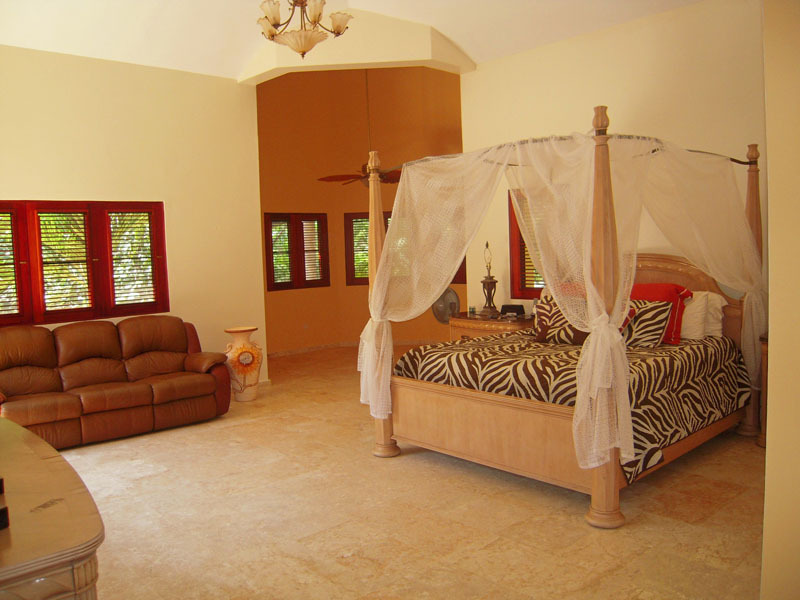 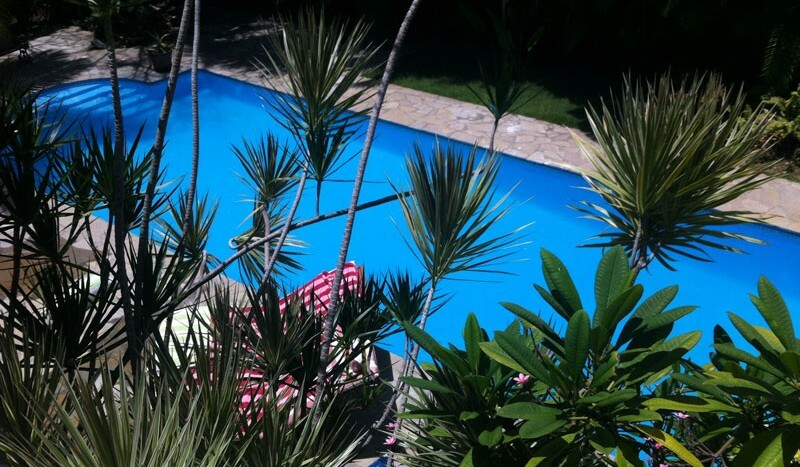 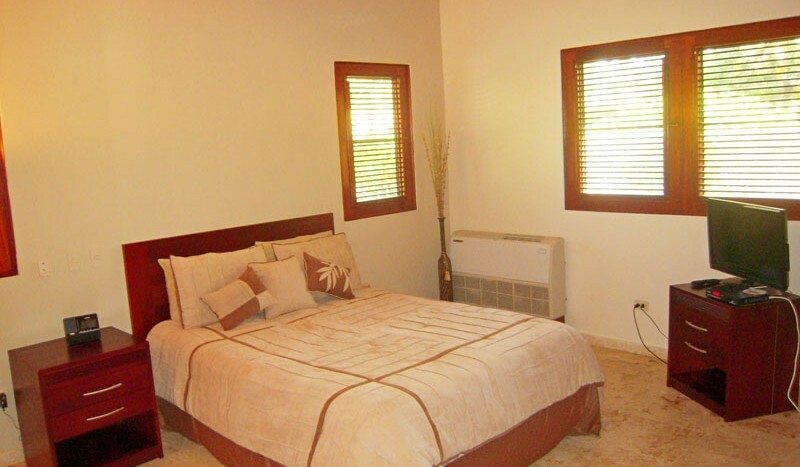 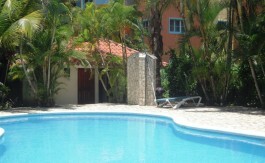 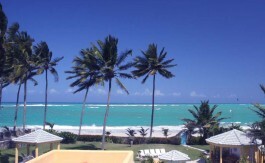 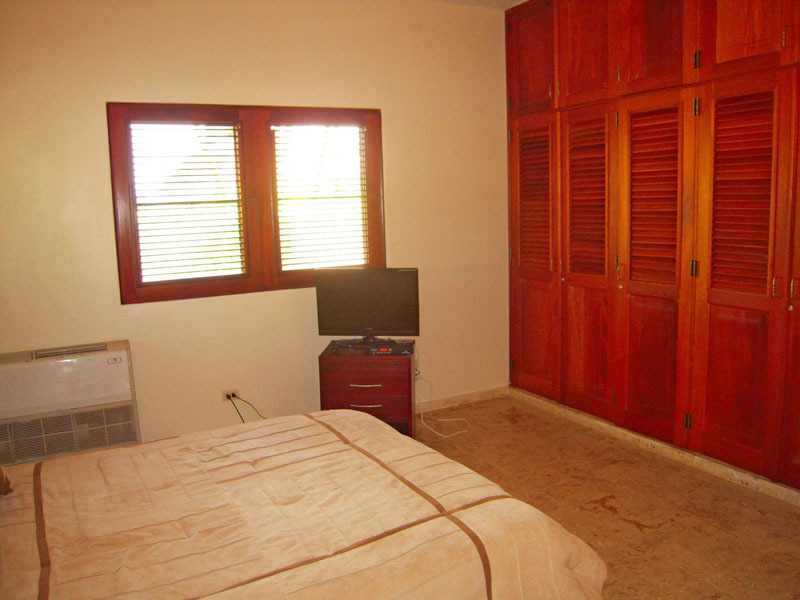 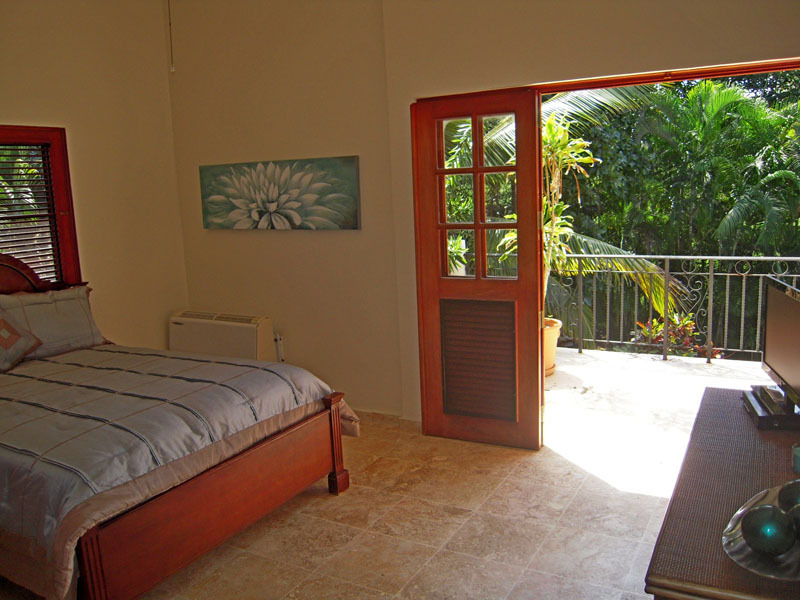 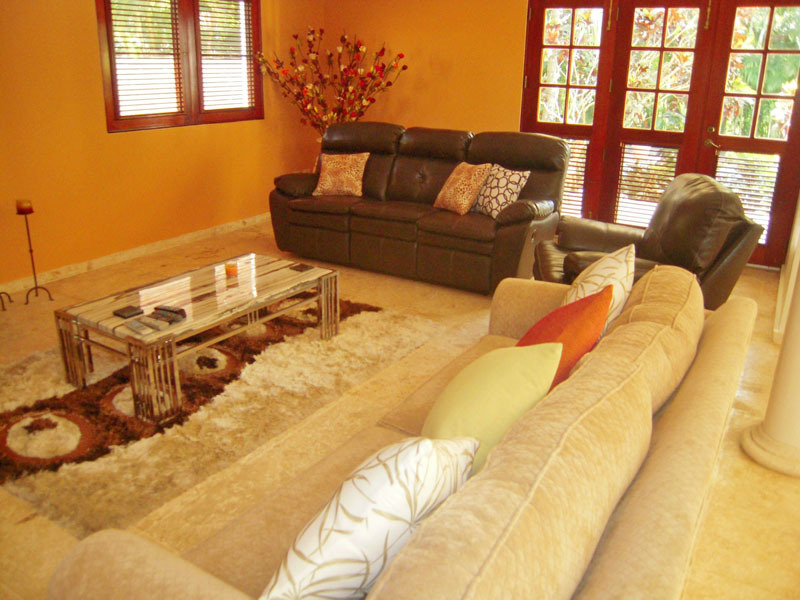 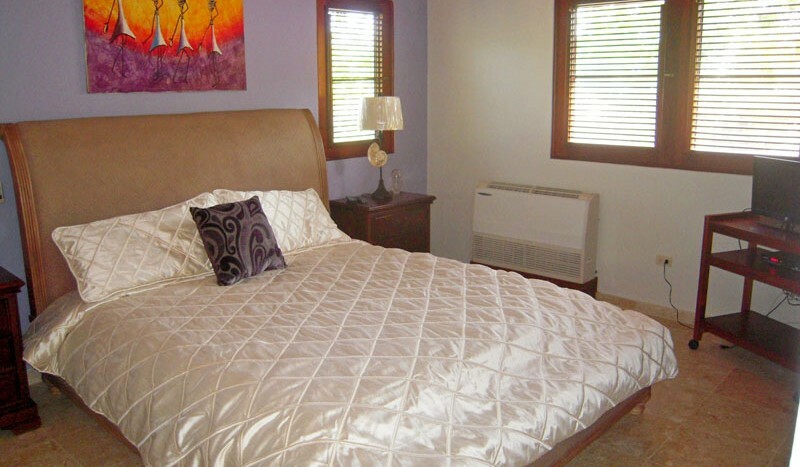 Available for short term rental only, this property can provide that magical getaway you’ve been dreaming of for years.